Live Hurricane Florence coverage is going to be critical for folks living and working on the East Coast this week. 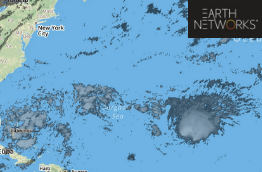 Currently a Category 2 storm, Hurricane Florence is going through a period of rapid intensification. This intensification will continue during the first half of the week. As Hurricane Florence continues to strengthen, it will likely become a major hurricane. In fact, we forecast Florence to become a Category 3 major hurricane later today. Since landfall in the U.S. is looking like a certainty, it’s imperative for people to seek live Hurricane Florence Coverage all week. It is also necessary to listen to any and all warnings or instructions from local law enforcement or emergency managers. We have a few hurricane safety resources that will help guide your family during this stressful time. 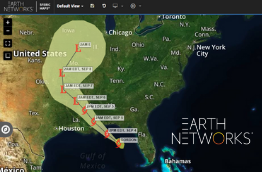 To help you, your family, and your business prepare, the Earth Networks team is setting up live broadcasts to help share critical Hurricane Florence coverage and updates. Join Earth Networks Meteorologist, Steve Prinzivalli, as he provides live updates on our Facebook channel every day at 2pm EDT this week. Some of you may remember a similar effort during last year’s active hurricane season. Our Facebook live broadcasts on Harvey, Irma, and Maria, helped inform and prepare hundreds of folks in landfall areas. Joining our live broadcasts are simple. All you have to do is like our Facebook page and tune in during or after the scheduled time. Another easy way to join is right here on this blog post! We’re embedding the videos below so you can tune in even if you can’t access Facebook during the day. We’ll also later upload the videos to our Youtube page which you can find here. We’ll also provide those links on this blog post later in the week as we upload them. We encourage you to bring questions about your area and your concerns to these broadcasts and ask them in the comments section. 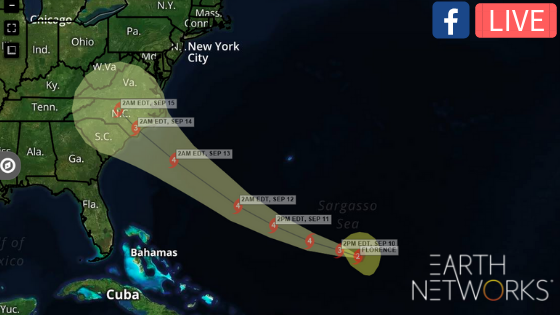 We’re helping businesses threatened by Hurricane Florence even more with week-long access to Sferic Maps. 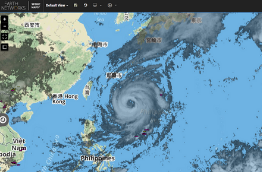 Sferic Maps is one of the most comprehensive weather maps online today.